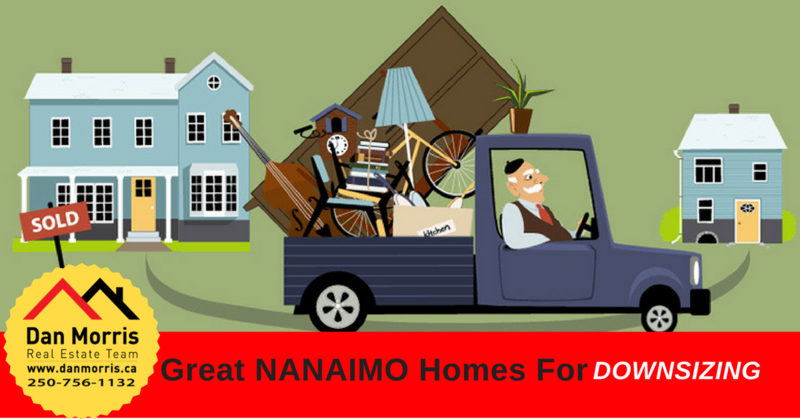 In our articles below you'll find information about Real Estate in Nanaimo and area, Tips on Buying a Home, Tips on Selling your Home, Current Local Nanaimo Information, Nanaimo Neighborhood Information and other interesting tidbits that you may find interesting. Enjoy! Property values throughout Nanaimo have risen once again this year - as you have now received your 2019 tax assessment notice time it's a good time to shed some light on how tax assessed values compare to taxes. According to BC Assessment the average residential property in Nanaimo increased by 10.58% - does that mean that your City of Nanaimo taxes will be going up by the same? The quick answer is no. Will your taxes be higher in 2019 than they were in 2018? The quick answer on this one ... maybe ... but only marginally. Read on to find out why. Every year BC Assessment is tasked with valuing all the properties in BC - residential, commercial, recreational and even municipal land. Last year they assessed 2,067,479 properties across British Columbia with a total value of $1.99 Trillion (yes that's with a T). Obviously they can't visit every property every year so they use computer models, municipal permit data, land title data and real estate market data to track trends in changing value. Your home is compared to similar homes that have sold in your area taking into consideration any improvements made. BC Assessment has information about your home - you can find out what they know about it by looking up your address at EValueBC.BCAssessment.ca (you can look up anyone's home on this service as well). 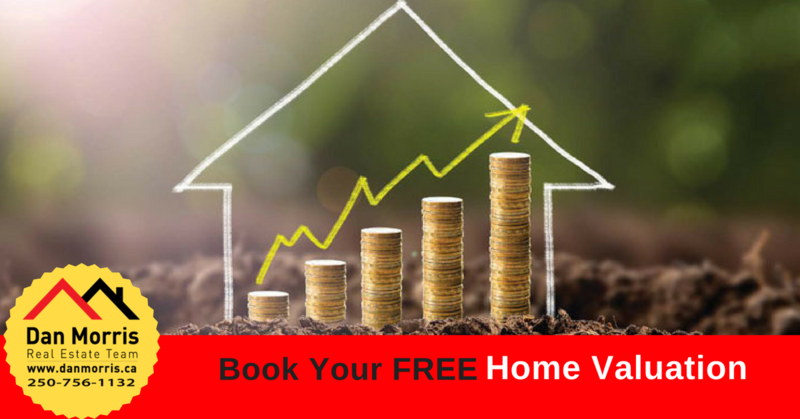 The valuation that you will receive in January 2019 will be what BC Assessment determined your home was worth in June of 2018 (with exception to homes under construction - the dates are slightly different for these homes). So once the value of your home is set does that determine what your City of Nanaimo (or the municipality that you are in) taxes will be for 2019? Not Exactly. How are Property Tax Values Set? Once BC Assessment has done their job in valuing all the properties in BC (and they have made it through any appeals that are made) each municipality determines how much money they need to run the city services for the next year and subtract any known revenues (grants, permits, etc). The money that remains is then needed to be raised in property taxes. This amount is divided by the total value of all the property in the municipality and multiplied by 1000 which is results in the tax rate. Once this rate (called the mil rate) is determined you can now figure out what your property tax will be. This number is determined by mid-May each year. If you your municipality is expecting higher costs of operating or taking on a large project funded by the city tax payers then your taxes will go up. If the costs to operate were the same as last year then taxes "should" be the same as last year - regardless of an increase (or decrease) in property values. Does a Higher Property Value mean a Higher Tax Bill? In the majority of cases No, an increase in property value will not mean a higher property tax bill. The exception to the rule is if your property rises in value higher than the majority of properties in your municipality. How can this happen? If you improve your property with work that increases it's value - i.e. 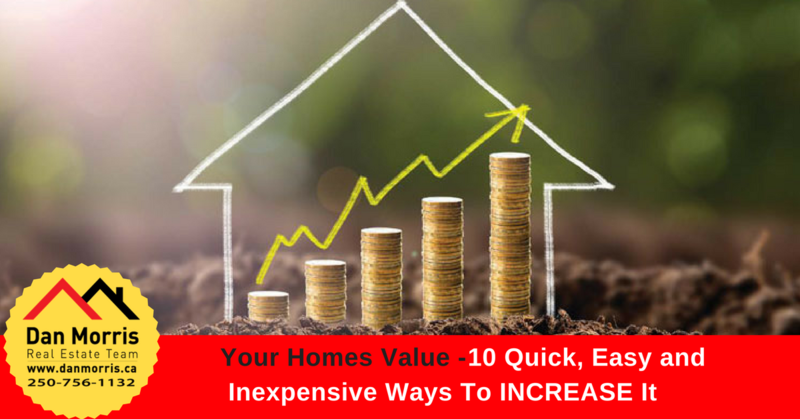 significant renovation or expansion, brand new expensive pool, adding a carriage house or suite - if all the homes around you went up 10% in value and yours went up 20% in value your property taxes will be affected as you improved the value of your home. 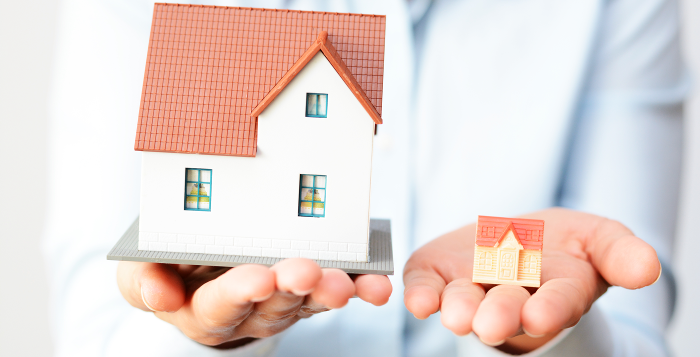 When to Appeal your Property Assessment? Following along with the discussion on the paragraph above - if the value of your home has gone up significantly more than what your municipality has gone up on average AND you haven't done any thing to significantly improve the value of your home it could be worth your while to call BC Assessment once you get your assessment and see why your assessment is higher than the norm. All homes in Nanaimo, for example, should be seeing around a 10.58% increase in value over last years assessment - if your assessment is considerably higher than that give them a call at 1-866-825-8322. Assessments should have arrived earlier this month (January). Considering an Appeal of your Property Assessment? If you are considering appealing your property assessment get ahold of me and I'll send you a detailed report called "Tax Fighter" that will let you know what you need to know to have the best chance in the process. If you have any questions let me know. I can assist in helping determine what the value of your home would have been back in June of 2018 and we can determine if the value is accurate. Do you have questions about this or what your property value may be? Are you thinking it may be time to sell and needing a current market valuation? We will be happy to help - drop us an email at dan@danmorris.ca or give us a call at 250-760-2231 and we'll be happy to answer any questions you have. When you buy a family home, you're buying for the benefit of all family members. But when you downsize, you're going to want a home specifically for your own dreams and ambitions. 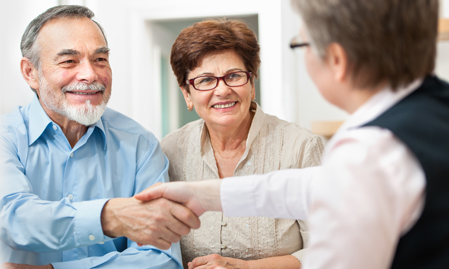 Downsizing doesn’t mean getting a less quality home, it just means getting a better home for your current needs. Congratulations! You've decided to retire and live your retirement dreams! Whether you're looking to travel, spend more time with family or just pick up a few new hobbies, now is the perfect time to consider how you can free up time and income. For this reason, downsizing makes perfect sense as you can look forward to decreased taxes, fewer bills, and lower mortgage payments. If your current home has you worried about heading south for the winter, it might be time to sell. Not only are you likely to get back far more than what you paid initially, you can use the extra income to put towards that amazing holiday getaway. In addition, having a new, lock-and leave-style home (like a condo) ensures you'll have less to worry about when you're gone. The neighbourhood in which you've raised your children is more established and has likely increased in value since the time you purchased. This means your home has also increased in value - not just because of the community but because of how long you've been making mortgage payments. The equity you've built up during this time is sure to help you make an easy transition into a home more suitable to your current lifestyle. If your kids have all up and flown the nest, it's likely you're now in a position where you're paying utility bills for spaces that are no longer being used (not to mention, still need to be cleaned!). Now might be the time to consider moving into something new and easier to maintain. Of course, that's not to say you can't downsize to a home style that keeps your family connected. There are plenty of townhome and duplex options available that will still give your kids a place to come home to. There comes a point where you no longer want to have to deal with routine maintenance of a large home - especially if the kids are gone and there's no one to help! Taking care of a large yard (not to mention the property taxes) may no longer make sense. Maintenance also includes cleaning as well as keeping up with repairs - especially if your home is getting older. This is where a motion to downsize can be especially helpful as you; a) can look forward to significantly less maintenance and; b) capitalize on home warranty that comes mandatory with all new home builds. Putting it all into perspective, when it comes to moving to a new home better suited to your lifestyle, you're not downsizing at all - you're actually upgrading in time and financial freedom! So, if any of the above points sound familiar, it may be time to make your downsizing dreams a reality. Want to see what home options are out there for you? Click the image below and get a FREE customized list that's tailored to downsizing. If you're thinking about selling your home in the near future, you should start looking at it through the eyes of a buyer. Word of warning... They're critical - of everything. A fresh coat of paint is a quick and inexpensive way to refresh your home and increase it's selling value. Most Real Estate Agents recommend choosing neutral tones. Lighter colours will also make a room look bigger, especially if there's an abundance of light available. You'll want to avoid choosing dark or unusual colours. Dark colours tend to make a room look smaller while unusual colours can turn a buyer off of the home completely if they don't like it. Does your home have one of these awesome light fixtures circa 1980? Gross! Rip it out. Replacing outdated fixtures, drawer pulls, wall outlets, door knobs, etc. in the kitchen and bathroom is a great way to update the look of those rooms without spending thousands on a full remodel. Kitchens and Bathrooms are the rooms that sell the house, make them shine. The quality and temperature of the light in your home is very important. If you're still using old tungsten bulbs with that warm yellow light it's a great idea to upgrade to some more modern CFL bulbs in a natural colour range. Temperatures anywhere in the 4000-6500 Kelvin range is fairly neutral and will update the look of the room. CFL bulbs are also much more energy-efficient than the old bulbs. 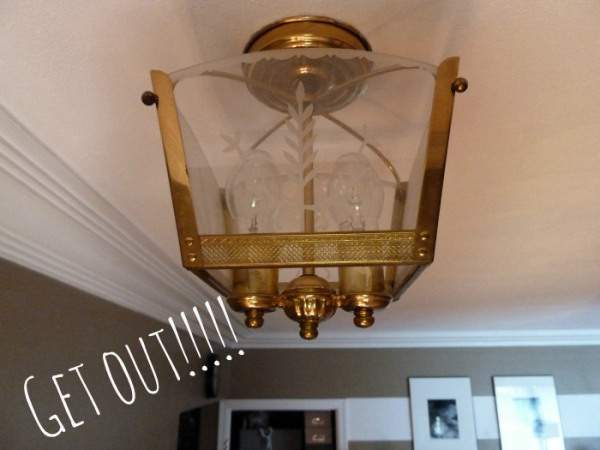 If you want to take it a step further you can hire a qualified electrician to install more light fixtures in darker rooms and update existing fixtures to more modern pieces. What do you see when you look up? Do you see a smooth, even ceiling? Or do you see lots of texture? Did you know that popcorn ceilings (also known as stucco ceilings) went out of fashion prior to 1980? There few details that date a house more than popcorn ceilings. This is a project that you can tackle on your own! First, visit your local hardware store for a solution to soften the texture, then simply scrape the popcorn away. Removing a popcorn ceiling may not seem like a big change but it goes a long way to modernizing a home. **IMPORTANT** Many popcorn ceilings were made using asbestos before it was banned in 1978. Even then, many homes were still built with these ceilings using asbestos into the early 1980's. You will want to have your ceiling tested by professionals prior to tackling this project yourself. Adding plants is another great way to add value to your home. Potted plants inside your home speak to a homeowner that cared for their home while outdoor plants add colour and interest to the exterior. If you aren't the gardening type potted plants and flowers are a great option. Do you have a tired looking garden that you're not prepared to rejuvenate? Fresh bark mulch is the answer! Power washing exterior features is a great way to clean and brighten the exterior of the home. Driveways, walkways, stone features, brickwork, and exterior siding can all benefit from a good cleaning. You can rent a machine locally or have a professional come in and do it for you. Outdoor illumination is one way to add a touch of elegance to the exterior of your home. Most home showings happen during the day but prospective buyers can drive by any time and you'll want to make sure the exterior is just as attractive as the interior. You can do this by adding lighting along pathways and porch entrances as well as above garage doors. Solar powered lights are one easy to maintain option. You can also opt for lights on a timer or motion sensor for added security. Replacing outdated moulding around your interior doors & windows is another great way to update and modernize your home. Moulding isn't expensive and if you have the correct measurements you can often have it cut to the proper length and angles in store. From there it's just a matter of removing the old pieces and installing the new. This small touch will add quite a bit of resale value to an older home. Good fences make good neighbours... But is your fence in good shape? Take a walk around your property line and ensure that all fencing is in good condition, repair any spots that aren't, and give it a fresh coat of paint. Want to know where your home's value stands? If you're like my family, warmer weather means one thing: SPRING CLEANING. After a long winter of closed windows and hot chocolate to keep the cold under control, you can finally burst open the windows and shake the dust out of the rugs and maybe the dog too. Spring Cleaning top to bottom, plus attacking that mile-long "Honey-Do List" can be a bit of a nightmare... Chore. I meant chore, not "nightmare." But afterward, it’s rewarding to sit back in a freshly cleaned home with a cold glass of (insert your favourite beverage here). Most people think the process is straightforward. A goal without a plan is a plan to fail. Many of us go from room to room, cleaning the things that are obviously dirty, I'm guilty of this myself. But apparently, it’s best to start with a plan in mind. Make a list of all the rooms you need to clean and what you need to do in each room. Your list should go beyond scrubbing with cleaners - You should also be thinking about organization. Look for clothes you haven’t been wearing and kitchen gadgets you never use. Spring is the perfect time to donate these things to charity. You should be cleaning your home like you're washing your car - from the top down. If you start washing the floors, then clean light fixtures, you’ll have a lot of dust dropping down, and then you'll have to do the floors again. [Helpful Tip] List the things you need to do to clean each room separately, then put them in an order that makes the most sense top to bottom. 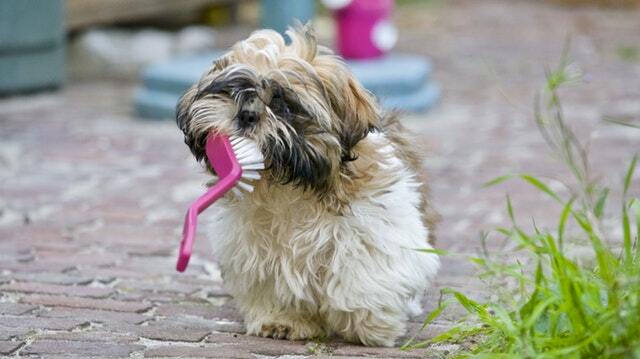 Always clean your cleaning tools! If you take the same cleaning rag or mop from room to room, you’re bringing germs along with it, putting your family at risk of getting sick. Use a mop that can be thrown into the washer. Buy plenty of rags – or make your own from used washed towels – so you always have a fresh supply on hand. Also, switch to a fresh rag when you switch tasks or rooms. If you’re making a cleaning plan on your own, you may be forgetting some important areas. For instance, you might know you should dust the baseboards along the bottom of the walls, but did you remember to dust the door frame? You might remember to wash your blankets and sheets, but when was the last time you cleaned the washing machine? It’s helpful to get a list online to be sure you’re not forgetting anything. Combining cleaning products can be dangerous. For instance, when you mix bleach and vinegar, you can create a poisonous gas that could seriously harm you. While you probably wouldn’t intentionally mix the two, you might try cleaning with vinegar, then decide you needed a deeper clean with a bleach-based product. Check out these cleaning products you should never mix for more information. Rather than going out to buy a whole new set of cleaning supplies, most people try to use the things they already have on hand. This isn’t always the best idea. For instance, certain types of sponges or cleansers can scrape delicate materials, like the countertops, stove, or bathtub. Traditional mops don’t always work well on hardwood floors because they can leave pools of water that will damage the wood. Make sure you know which materials are best for cleaning the things in your home and have those items on hand. When you see a stain on your couch or the floor, your instinct might tell you to apply a stain remover, then scrub at it. This can cause the stain to spread or seep deeper into the material. Instead, you should focus on blotting the stain out. If you’re not sure what to do to remove a stain, consult the manufacturer’s guidelines. If you’re like most people, you wait until the vacuum bag is practically bursting at the seams before you decide to change it. After all, you don’t want to be wasteful. This can be harmful if it takes a few months to fill up that vacuum bag. For instance, if you were to vacuum up a piece of food the kids dropped on the floor, it could start to grow mould sitting in the bag for a few weeks. If you have a canister-style vacuum that you empty each time or you vacuum enough that you’re filling a bag each week, you probably don’t have to worry. Others should consider changing the bag more frequently. It’s easy to start your spring cleaning project off with a bang, but after a few hours – or days – of cleaning, it starts to lose its appeal. Rather than feeling like you need to get everything done in a single weekend, try breaking things down into smaller tasks. Do a few things each weekend for a month or two. The house will eventually be cleaned, but you’ll still have some time for yourself. 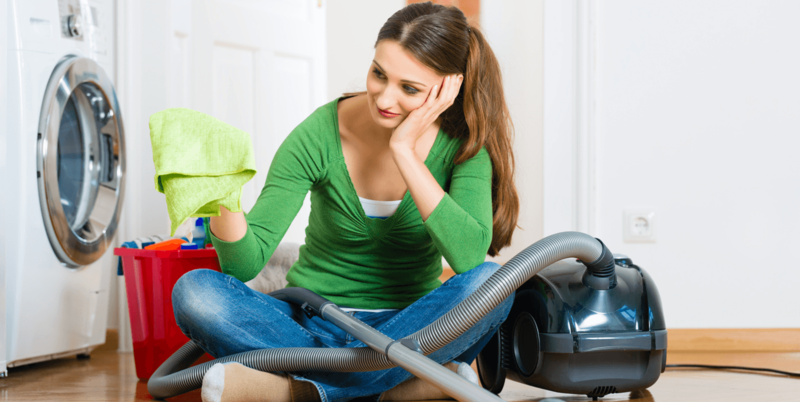 Spring cleaning doesn’t have to take place in the spring. You could also do many of the tasks during the winter months when you’re stuck inside anyway. It’s also a good idea to create a regular cleaning schedule so you’re never again stuck spending the entire weekend cleaning. 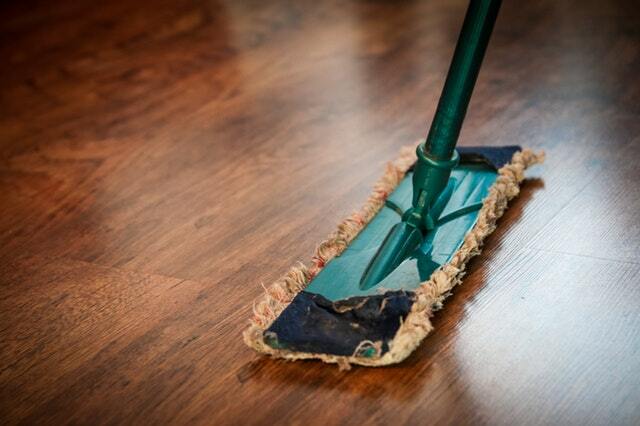 Taking on a few daily, weekly, and monthly tasks means your home never gets to a point where it needs a deep clean. A deep cleaning of the home fits in well with spring’s theme of a fresh new start. By taking care to do it properly, you can be certain your home will be free of dirt, grime, and germs. After a deep clean of your home is a great time to have a Free Home Value Assessment. Upgrade Your Life - Downsize Your Home! Think about the numerous ways downsizing will save you money (not to mention the enjoyment of life that extra money can bring you), and you’ll start to see it can be a great idea. Property Values Going Up ... How does this relate to property taxes? Property values throughout Nanaimo have risen sharply this year - as we are quickly approaching tax assessment notice time it's a good time to shed some light on how tax assessed values compare to taxes. On average we will likely be seeing around a 20% increase in property values in Nanaimo - does that mean that your City of Nanaimo taxes will be going up by 20%? The quick answer is no. Will your taxes be higher in 2017 than they were in 2016? The quick answer on this one ... maybe ... but only marginally. Read on to find out why. Every year BC Assessment is tasked with valuing all the properties in BC - residential, commercial, recreational and even municipal land. Last year they assessed 1,996,112 properties across British Columbia with a total value of $1.3 Trillion (yes that's with a T). Obviously they can't visit every property every year so they use computer models, municipal permit data, land title data and real estate market data to track trends in changing value. Your home is compared to similar homes that have sold in your area taking into consideration any improvements made. BC Assessment has information about your home - you can find out what they know about it by looking up your address at EValueBC.BCAssessment.ca (you can look up anyone's home on this service as well). The valuation that you will receive in January 2017 will be what BC Assessment determined your home was worth in June of 2016 (with exception to homes under construction - the dates are slightly different for these homes). So once the value of your home is set does that determine what your City of Nanaimo (or the municipality that you are in) taxes will be for 2017? Not Exactly. In the majority of cases No, an increase in property value will not mean a higher property tax bill. The exception to the rule is if your property rises in value higher than the majority of properties in your municipality. How can this happen? If you work to improve your property with work that increases it's value - i.e. significant renovation or expansion, brand new expensive pool, adding a carriage house or suite - if all the homes around you went up 20% in value and yours went up 30% in value your property taxes will be affected as you improved the value of your home. Following along with the discussion on the paragraph above - if the value of your home has gone up significantly more than what your municipality has gone up on average AND you haven't done any thing to significantly improve the value of your home it could be worth your while to call BC Assessment once you get your assessment and see why your assessment is higher than the norm. All homes in Nanaimo, for example, should be seeing around a 20% increase in value over last years assessment - if your assessment is considerably higher than that give them a call at 1-866-825-8322. Assessments should be arriving early January. I have listed a new property at 520 KENNEDY STREET in NANAIMO. Old city living in an updated character home. This 2 bedroom plus den, 1 bathroom home is on a fully fenced lot with alley access and a separate 14x20 garage/workshop. Remodeled 1,050 sq ft home has thermal windows, a soaker tub, large kitchen with plenty of cupboards and counter space. There is an eat-in nook that opens to the living room for an open concept feel. Bedrooms have lots of cupboards for storage. Under height basement for workshop or storage. A patio and large rear yard perfect for a garden or RV storage. Great location close to all amenities, VIU and walking distance to the city core and seawall. All measurements approximate, verify if deemed important.